Greetings men and women of Steem! The topic that concerns us today is an exemplary symbol for all the communities that navigate in this virtual environment. Cede the place is a difficult phrase to apply in any area of work, competition, fights, etc. In the struggle for power, people are like cats locked in a sack, that's what a friend says, hahaha. However, alliances are part of ancient wisdom and the present, to achieve great victories. In steemchurch we are pleased to present a wise, noble and kind man, who has given his important place to steemchurch in the 20K contest started by @theycallmedan. He is @crypto.piotr, a fighter for noble causes and with a brilliant knowledge about cryptography. After a nice conversation with @sirknight, @crypto.piotr, @uyobong and my person @emiliocabrera, there was a nice partnership agreement to compete together for the 20K @theycallmedan contest. The remarkable gesture of @crypto.piotr surprised us by manifesting its support for the steemchurch community. "I reiterate that it is a great example of His part, to give place to others"
For long hours we have talked and although his passion is Blockchain Cryptography, he also has his heart set on Venezuela, with more than 40 friends in the Nation, who are building a solid community to assist many Venezuelans. They are @help.venezuela, lead by@achim03. For information on our new allies, steemchurch was founded on December 11, 2017, and since then, it undertook a long journey in the struggle for freedom according to the standards of Jesus, who left records of love for the poor and needy class from that time. Both spiritually and physically. Based on the needy, steemchurch created several parishes @sc-v @sc-n, @ghana and also a farm @farms in order to reach directly people in need. Each community has the responsibility to impart freedom to the masses. 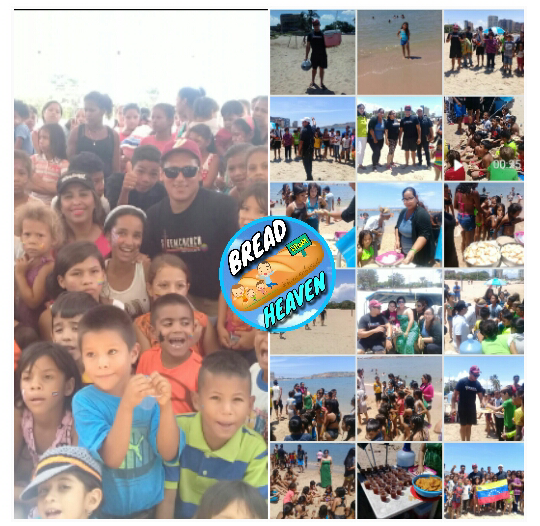 All the communities have been working to fulfill this vision, in Venezuela, @sc-v, runs the children's bread pan del cielo and helps with meals for children with cancer in Venezuela. As a Church, we also set the example and have designed several programs to help the unassisted, especially in Venezuela because of the strong crisis the country is going through. Our most well-known projects are about Health, Education and Agriculture. Again, on behalf of all @steemchurch, we welcome you and together we work for the love of Venezuela and the whole world. Let's continue supporting steemchurch in the voting, (the difference is little) Our leader and motivator @uyobong of Nigeria, has not stopped working for this delegation, let's follow his example. We are also in Telegram, you can join us and participate in the most innovative initiatives that arise from people with a vision of love for humanity. Please make sure you vote parishioners! We welcome @crypto.piotr and @help.venezuela to @Steemchurch. This is an amazing alliance for the blessing of humanity. Together, we'll bring smiles to Venesuelans. Yes Fatherfaith, he's a good friend. Quizás si Dios lo permite, pudiésemos en el futuro establecer algún vínculo de colaboración y apoyo mutuo. Estamos siempre dispuestos al trabajo voluntario principalmente a favor de la niñez de nuestro país Venezuela. Bendiciones y éxitos. Very kind @juliocesar, luckily I speak Spanish and I can read your message, I suggest a translation later to English because all the friends of the world communicate through the English language, your proposal is good, you are welcome to steemchurch, we will soon review what you do . Greetings. Muy amable @juliocesar, por suerte hablo español y puedo leer tu mensaje, sugiero una traducción luego a inglés porque todos los amigos del mundo nos comunicamos a través del idioma inglés, tu propuesta es buena, eres bienvenido a steemchurch, pronto revisaremos lo que haces. Saludos. Muchas gracias amigos @steemchurch, espero continuemos en contacto y apoyándonos mutuamente. Seguiré su consejo de traducir también al inglés las publicaciones. Thanks to @steemchurch, greetings to SirKnight and brother emiliocabrera. We are going to be blessed if we get this 20k of delegation, before it can happen it needs all of us our support. Thank you all for yoir support! There were good people who will join their will for a noble reason. 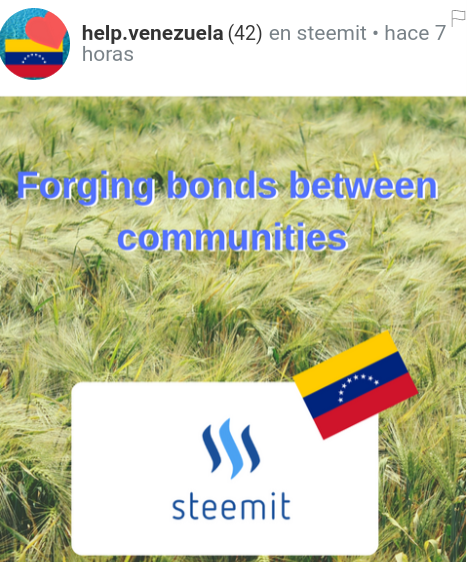 @steemchurch has extended its hands to Venezuelans, @ crypto.piotr has also done the same. 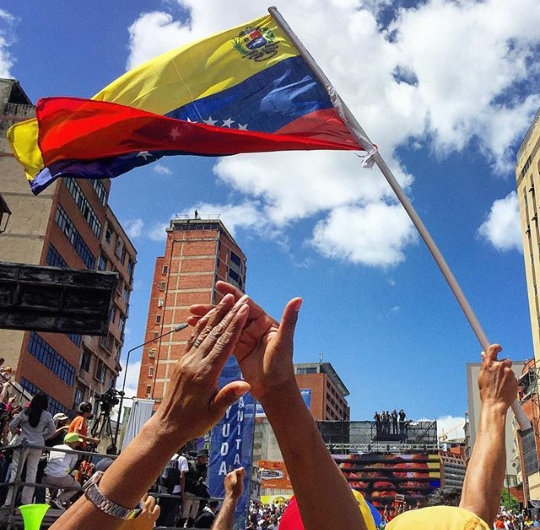 This alliance promises many blessings for the Venezuelan people. Saludos hermano emilio Venezuela y steeemchurch nos necesita. This is a great emotion for the opportunity to establish communities of real impact in Venezuela and the world, I like alliances, we were born to live in community, in Venezuela the humanitarian aid is disputed, but these communities and all must ally to diminish a little the disaster that is causing inflation. Welcome @crypto.piotr and @help.venezuela to steemchurch, your place here is important for all of us. Soon I'm going to telegram. 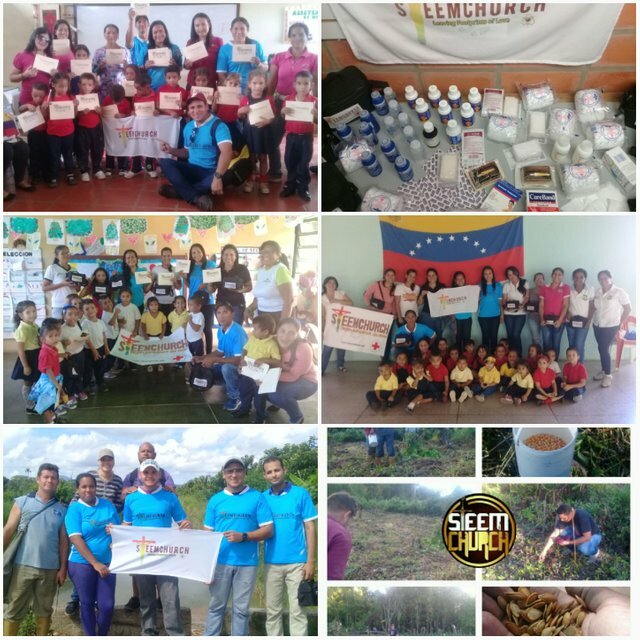 Thanks to all those who support steemchurch, it is a great gesture of the Lord @crypto.piotr, I had not heard from @help.venezuela, count on my support in this wonderful alliance. Wow! am happy to be a part of this community. I was introduced by @Uyobong who happens to be my Choir Director. I will do my best to contribute my best to the growth of Steemchurch. Expect my introduction post soonest. I love you all. @ Crypto.Piotr does so much for the steemit community. Welcome new friends, it is a pleasure to see people with the vision of working as a team, many do not understand that, the important thing is not only the award of the 20K, but these moments in which we meet great people of the planet. I already vote once, can i vote twice? No friend, is a vote per person valid, voted by @ SteemChurch? Friends I see that this project is worth much to be able to help, so count on me to make known your noble work. SALUDO Y MARAVILLOSA INICIATIVA, LE DESEO MUCHOS ÉXITOS, BENDICIONES. I support what @crypto.piotr community support.